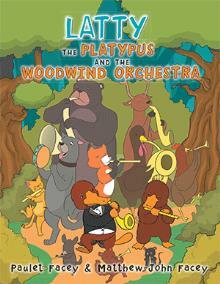 "Latty the Platypus and the Woodwind Orchestra"
Latty the Platypus and the Woodwind Orchestra takes readers through a journey with a platypus, Latty, who suffers the loss of her mother, and the arrival of her own chicks. In order to deal with her loss, Latty memorializes her mother’s musical talent by teaching the chicks to play several instruments in a woodwind orchestra. 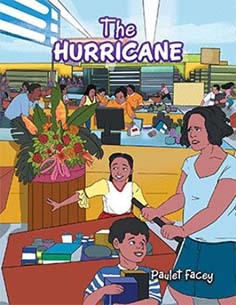 A humorous story that addresses difficult issues in a lighthearted manner, it highlights determination in the face of adversity and even tragedy. This is a wonderful story for teaching life lessons, vocabulary, and other reading strategies. 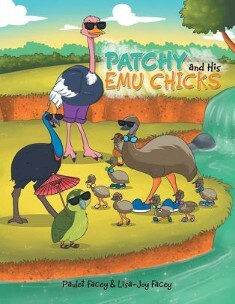 "Patchy and His Emu Chicks"
The book, Patchy and His Emu Chicks, highlights pattern as well as diversity. The authors cleverly juxtapose similarities and differences of four flightless exotic birds and several pattern fabrics. Central to the story is the importance of accepting individuals regardless of their uniqueness because each one is special. This is an enjoyable children’s story with numerous teaching points, including word families, comparing and contrasting, homonyms, affixes, and fresh vocabulary. 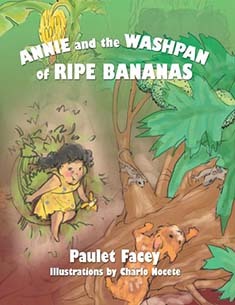 Annie and the Washpan of Ripe Bananas is a story that deals with the choices and consequences a young girl faces. Annie, finding herself bored one day when school is on holiday, defies her grandmother's request to read. 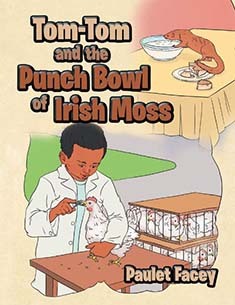 Tom-Tom and the Punch Bowl of Irish Moss is a lively tale of a mongoose that lost his way and ended up in the dining room of a terrified family. The story is full of excitement as it details the adventures of a frightened creature. 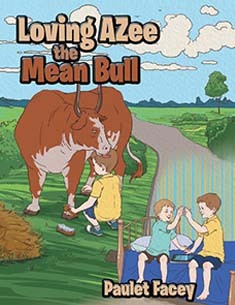 Loving AZee the Mean Bull helps improve reading comprehension and sheds light on bullying. Bullying is more than just a juvenile interaction today. 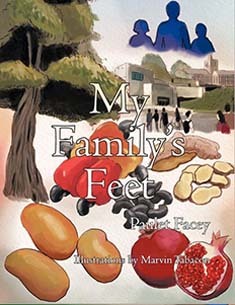 My Family's Feet is told from the narrator's point of view. In the story, the narrator has been away in New York City for some time. She's progressing well, but she misses her family and the familiar surroundings. 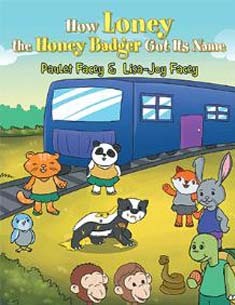 How Loney the Honey Badger Got Its Name shows how a ferocious badger, Loney, intimidates the animals of two forests; this causes Loney to be led to a beehive where he plunders the honeycombs, devours the royal jelly, and endangers the life of the queen, along with the entire forests. 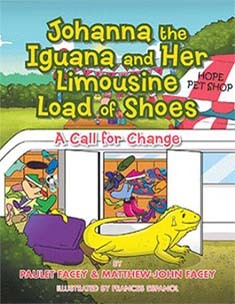 "JOHANNA THE IGUANA AND HER LIMOUSINE LOAD OF SHOES"
Johanna the Iguana and Her Limousine Load of Shoes tells the exciting adventures of an iguana, Johanna, during her trip to the Big Apple, New York City. Johanna loves shoes, so they are the only wardrobe item she takes along with her. But the shoes are more than just items of clothing; they symbolize change, hope, excitement, as well as pain and disappointment that the protagonist endures. Fortunately, Johanna copes with the challenges because of the guidance she receives from her mentor, Nana. A well-crafted plot that is presented in a humorous manner. Young reader will enjoy this book! Paulet Facey is a children's author and intervention teacher who takes great pride in improving child literacy. She believes that picture books target multiple things in children because they can see the pictures and the words. This can help shorten the time to literacy, so she writes and designs each book to be read by children for fun to help improve literacy more quickly. In these children's books from Bronx, NY, the reader meets unique animals -- animals that they'll be able to buy as stuffed toys one day to play with along with the story. Paulet Facey was born in Jamaica, West Indies; she is a retired teacher who currently lives in New York City. Dr. Facey looks forward to the opportunity to make a tangible impact on the literacy status of the children back in Jamaica, especially, since her love for writing was influenced by her teachers. Facey has her doctorate degree in reading and literacy, master’s degree in general and special education, as well as a bachelor’s degree in literacy. Facey asserts Literacy is Light. Therefore, she has dedicated her time to use the power of writing to positively impact the literacy gap that exists. In addition, Facey is convinced that each generation has a responsibility to expose, in a targeted manner, more of creation's beautiful animals to everyday conversation, so several of her books include animals. The author, an academic intervention specialist, knows the power of effective vocabulary instructions. Consequently, she has deliberately centered her works round building children’s expressive and receptive vocabularies through reading for pleasure. She expertly blends various subcomponents of vocabulary instruction, and rich story elements in an artistic manner to provide enjoyment for young readers. 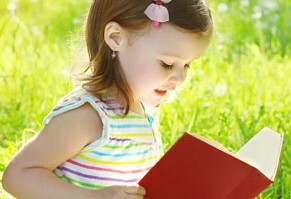 Our mission is to create enjoyable texts which foster continuous learning and love for reading. This will be accomplished through texts that directly target learning strategies.